From San Jose del Cabo/Los Cabos airport, take the TOLL ROAD toward Todos Santos. After you pay (just a couple of bucks), you will veer right on Hwy 19. It is well marked "Todos Santos." Once on Hwy 19, you'll travel about 50 min. before reaching the town of Pescadero. As you enter Todos Santos, there is a TECATE store and Super Mercado Sol on the right hand side of the road. There is a sign "Eco Center" on our wall. 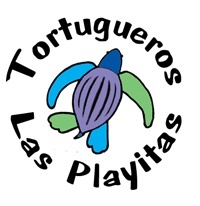 La Sirena Eco Adventures is also on Googel Maps!!! We are located next door to the Hotel Santa Rosa. This great little shuttle will take you directly to Todos Santos for about $275 pesos or $24 dollars! There is even internet and movies on the shuttle!!!! Turn left, heading south down Hwy 19 to Calle Olachea (four blocks). Turn right down Calle Olachea (west) La Sirena is 1.5 blocks down on the left. Todos Santos is a tropical oasis on the Pacific Ocean in Baja California Sur, Mexico. 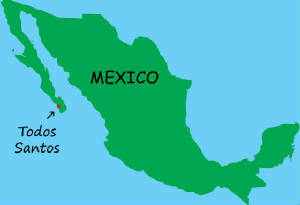 There are two nearby international airports, Los Cabos,(a two hour drive) and La Paz, (a one hour drive).